Posted on June 28, 2011 by Jason Mueller Posted in Releases	. 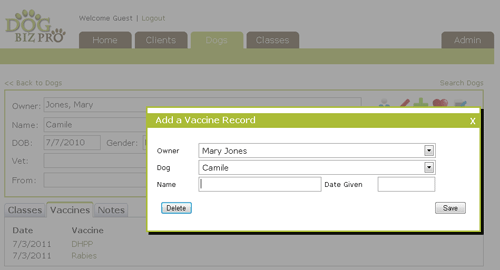 With this new version we added the ability to track dog vaccine records. You can enter the vaccine name or code and the date it was given. 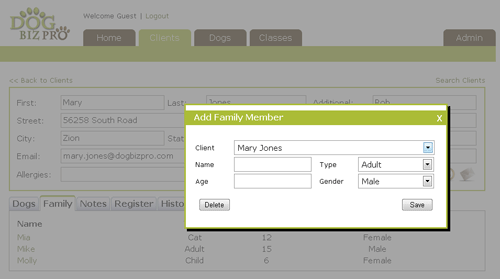 This version also added the abilty to add additional family members to a client’s record. Being able to know about the other family members and pets is a vital part of some training programs. With this new feature you can see all the information quickly and easily.